Anahi is an environmental justice advocate and storyteller from Quito, Ecuador. She graduated from Middlebury College in 2017 with a B.A. in Environmental Studies. Anahi is interested in exploring how narratives and an exploration of histories can empower local communities to become agents of change. Today, Anahi is the Program Coordinator for Latino Outdoors NYC. Prior to her current position, Anahi served as the Community Outreach Coordinator for the Kingsbridge Heights Community Center in the Bronx, NY working on increasing access to green spaces and food sovereignty through community gardening. Grace Anderson is the director of the PGM ONE summit. Prior to her current role at PGM ONE, she managed the Sierra Club’s national Inspiring Connections Outdoors program. In addition to her work with PGM ONE, she leads outdoor courses for NOLS, GirlVentures and Balanced Rock Grace is deeply committed to sharing her skills, resources and time outside with other people of color in the outdoors. Sophie is an urban planner, artist, and facilitator committed to standing up against oppression, supporting healing, and building community. 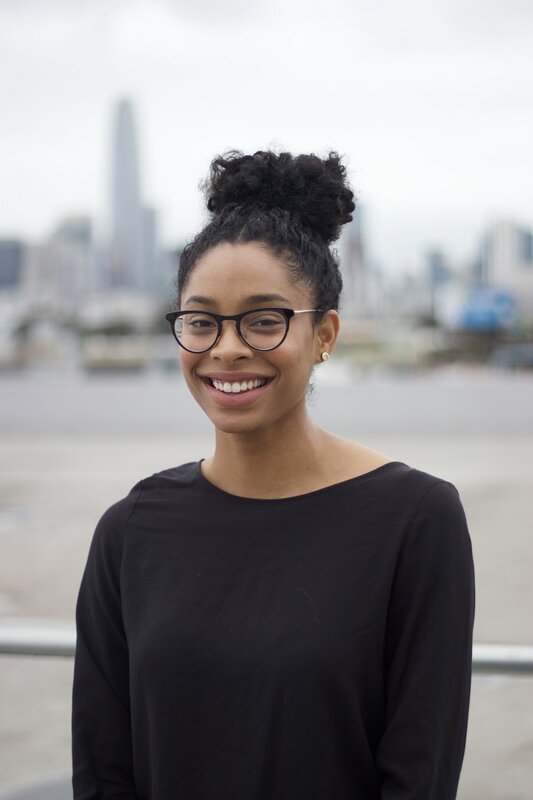 Sophie has recently worked as an Equity Fellow for Philadelphia's Office of Sustainability, managing their efforts to mitigate urban heat inequalities in Philadelphia through community-led climate adaptation planning. She is also a partner with the Avarna Group, with whom she facilitates trainings on equity, inclusion, and unconscious bias for environmental organizations. Sophie has an MSc in Urban Planning from the London School of Economics and is one of the co-founders of PGM ONE. She also practices and facilitates mindfulness meditation in her house in South Philly. Aparna is the founder of the PGM ONE Summit and founding partner of the Avarna Group. She has devoted the last seven years to supporting outdoor and environmental organizations with equity, inclusion, and diversity efforts. She has facilitated workshops on inclusion, equity, cultural competence, and cultural relevancy for thousands of outdoor and environmental professionals. She has also supported organizations in building holistic plans for equity and inclusion. Ciara Williams is the Outreach and Communications Coordinator for Philadelphia’s Office of Sustainability. She previously worked with Mural Arts’ Restored Spaces Initiative where she became an organizer and educator with Trash Academy, a Philadelphia-based collaborative of artists, activists, youth, and residents working together to understand and address the issue of trash through participatory action research and public art. Ciara is passionate about education, environmental justice, and self determination. She is especially interested in working with communities most impacted by disinvestment, extraction, and environmental racism. Her current work is a continuation of her experiences organizing around environmental injustices as a youth in her hometown of Chester, PA.
Cianna is passionate about creating space for members of her intersectional communities to take up space and lead work around sustainability, equity food and land access . With a foundation grounded partially in her Sociology and International Sustainable Development background, she carries the fire that her ancestors ignited through her work in social and food justice advocacy. A California native, she now resides in Richmond, Ca where she is active in her local food policy council and volunteers at local youth and community development organizations that seek to build power and justice through access to nature. She has participated in PGM ONE since it's first year and is excited to continue to be apart of its unique landscape for years to come. Dwight Dunston aka Sterling Duns is a West Philly based hip-hop artist, musician, educator, futurist, and Quaker. He holds a BA in English from Dickinson College and an MA in Poetry from the University of East Anglia in Norwich, England. Dwight is the Coordinator of Equity and Justice Education at Friends' Central School and also serves on the board of Earth Quaker Action Team, a grassroots, nonviolent action group including Quakers and people of diverse beliefs, who join with millions of people around the world fighting for a just and sustainable economy. Dwight has performed throughout the world with numerous groups, such as Hardwork Movement and City Love, and thru music he has shared the stage with many different people such as Talib Kweli, Redman and Method Man, A Boogie, Jasiri X, Michelle Alexander, Jonathan Kozol, Yusef Salaam and many more. Sarah is a digital media creative and communications strategist with a passion for using storytelling to amplify marginalized voices and cultivate connection across issue silos. She is dedicated to creating and contributing to intentional media platforms where underrepresented communities retain agency over their own stories. Sarah is also a trauma-informed yoga teacher, grounded in the philosophy that yoga is a tool for life for every body. She brings this same lens to her commitment to equity, justice and anti-racist work, actively centering radical self-love, knowledge of trauma and how it impacts the body and community resilience as a facilitator.